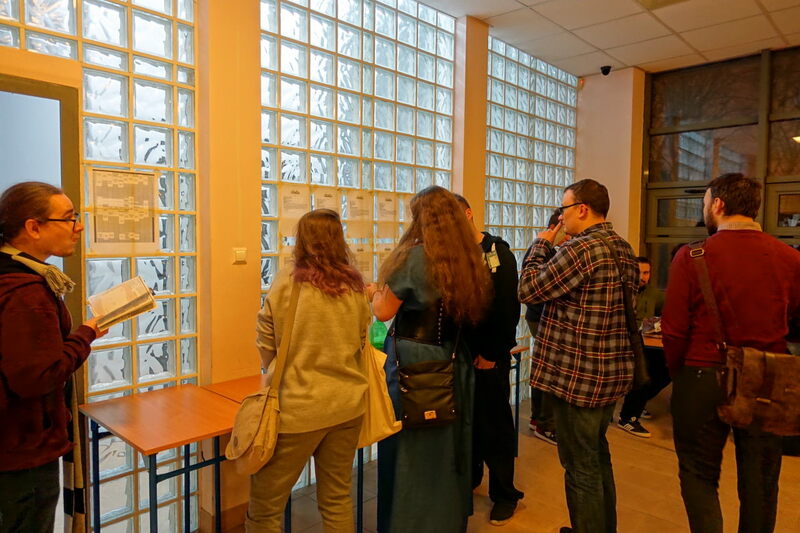 I started my convention year 2018 with ZjAva – a relatively big gaming convention in Warsaw. It is completely different than Lajconik I was describing last year, but at the same time both events have things in common. And those are games, of course. The name of the convention is something I really enjoy. ZjAva is an abbreviation from Zimowa Jazda Avangardowa (Avangarda’s Winter Run). And Avangarda is the name of the society that organizes it. At the same time Polish word „zjawa” means „apparition”. How I can not enjoy such name? What is not typical for Polish cons is that ZjAva is organized in „everyone pays” model. It is common abroad, but the common practice in Poland is that gophers, concom and programme participants usually receive free membership. ZjAva is different and thanks to that it is also cheaper than many other cons of comparable size. Speaking about size – it is quite big for a gaming convention. Of course it is not even remotely as big as Gencon, but a few hundreds participants who are mainly playing is also a decent size. 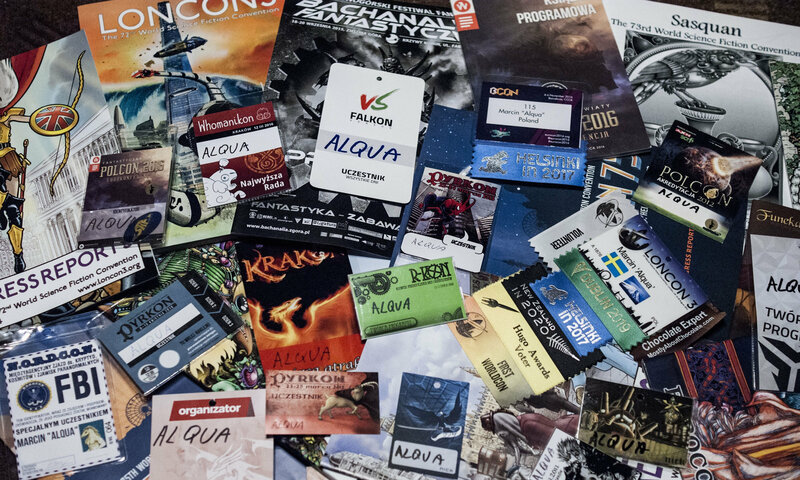 The convention lasts for two and a half days and it is filled with different games. Apart from that, there is also some programme. A lot of it relates to gaming… but not all of it. What I find interesting is that board gaming and RPG gaming are to a certain extent comparable in importance. 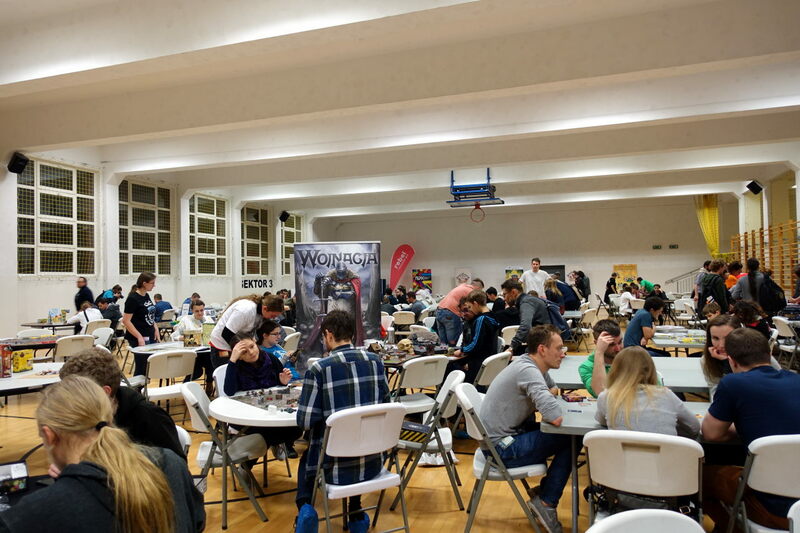 More rooms are devoted for RPG sessions than for board games (but this is kind of understandable), but the biggest hall in the school is dedicated to board gamers. Games room and dealers room were combined. This year I was slightly surprised as not so many publishers came to present their new games. Of course a few of them were present, but I had the impression that there were more of them in attendance in previous years. The cool thing is that the dealers hall surrounds the board gaming place. In this way, the creators can show off their games in the same place they sell them. I didn’t spend much time in the board gaming part of the convention. On Friday I have first started talking to my friends and only then I started playing. Unlike many other RPGs, Paranoia is by default a player vs player game but you also have a common goal that you need to achieve together. As the world is full of absurdities, so are the gaming sessions. I had tons of fun. I was hoping to finish the game by midnight, but we finished at 2 AM and I will not complain about it. For sure I need to repeat the experience someday in the future. From the convention perspective, Saturday was not the best day for me. I spent just a little bit of time at the convention in the early afternoon. Then I had other things to do in Warsaw and when I came back, it was too late to play an RPG session. 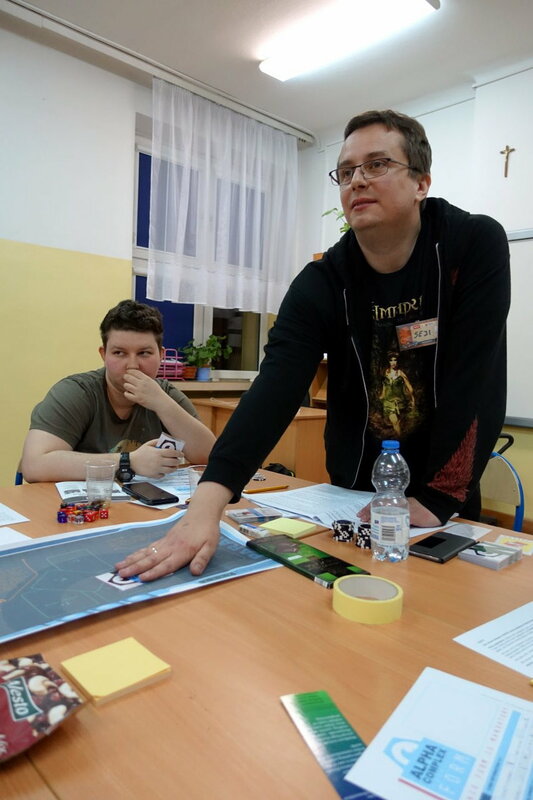 I decided to spend the time at the presentation about becoming a GM. It reminded me that I want to get back to GMing as it gives another kind of fun than being a player. Those who wanted to participate in RPG session had yo sign it for it. After the presentation, we went to a pub with a few other fans and we spent the evening discussing the RPG market in Poland (which, even though we do have many gamers, is not in a good shape). Sunday morning came definitely too fast and it meant that the convention is getting close to its end. Still, there was one programme item I really wanted to see (or rather listen to) – it was called “RPG songs” and was in fact an RPG filk presentation. I am not sure if the singer was aware of what filk is, but the songs he presented were for sure filks. They were all well known melodies with the RPG-themed texts. I really enjoyed it and I am happy I had the chance to listen to him. Text was presented using beamer and melodies were well known so we all joined the filking. Afterwards, I attended one more presentation about GMing just before I had to leave and return home. I wish I had spent more time at the con, as I really enjoyed it, but this just makes my appetite for the next edition even bigger. My next post will be published around half of February.